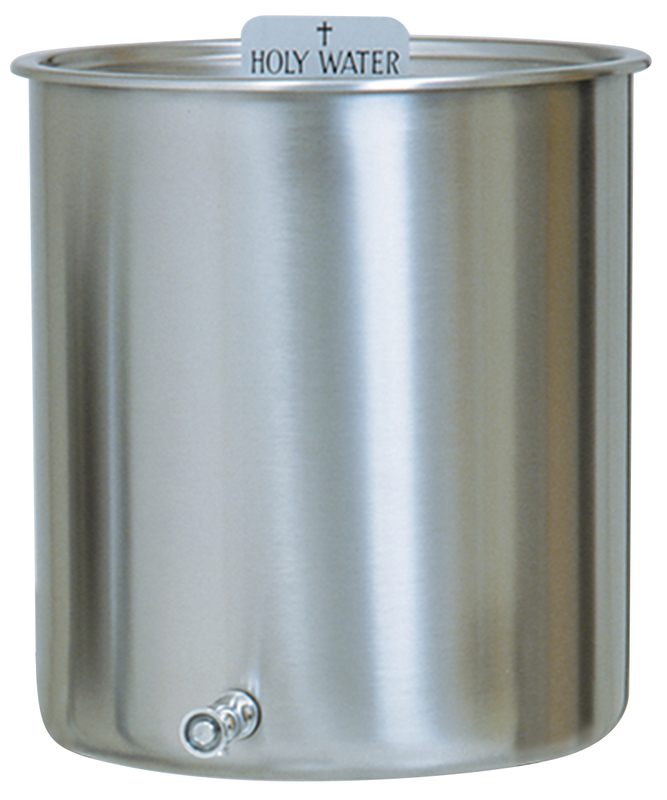 Stainless steel holy water tanks. Includes a cover, holy water sign and spigot. Stand is not included. 15 gallon tank is equipped with or without handles. Spigot can be purchased separately, fits 11/16" hole. Prices are subject to revision without notice from the manufacturer, please contact us to confirm current price.